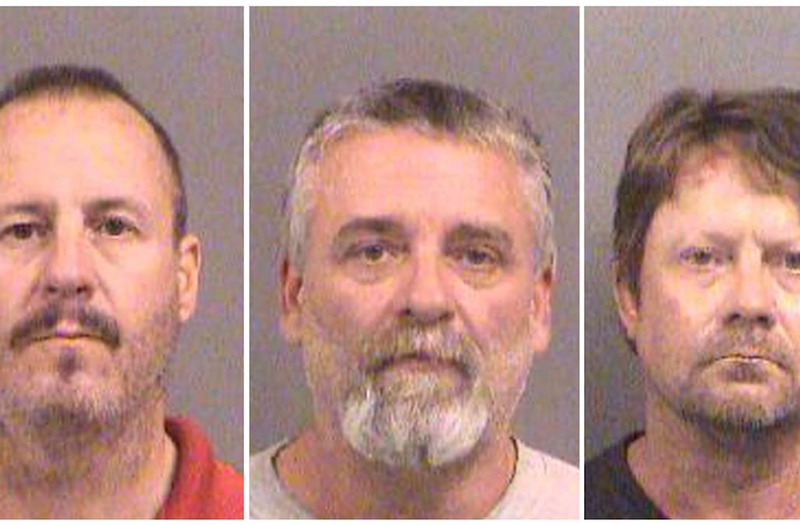 Three Kansas militia members were found guilty Wednesday of plotting to bomb an apartment complex housing Somali refugees they called "cockroaches." Patrick Stein, Gavin Wright and Curtis Allen were convicted of conspiracy to use a weapon of mass destruction and conspiracy against civil rights. Wright, also convicted of lying to the FBI, is captured in one recording saying he hoped an attack on the Somalis would "wake people up" and inspire others to take similar action against Muslims. The complex that they targeted also included a mosque. "Their ultimate goal was to wake people up and to slaughter every man, woman and child in the building," assistant U.S. attorney Anthony Mattivi said in his closing argument in federal court in Wichita, according to the Guardian. The three men formed a splinter group of the militia Kansas Security Force that came to be known as "the Crusaders," according to the government. Prosecutors allege they tried to recruit other members of the Kansas Security Force to join them. Stein was recorded discussing the type of fuel and fertilizer bomb that Timothy McVeigh used in the 1995 Oklahoma City bombing, which killed 168 people. Stein was arrested when he delivered 300 pounds of fertilizer to undercover FBI agents. The government's case included profanity-laced recordings in which militia members referred to the Somalis as "cockroaches." They had been indicted in October 2016 for plotting an attack for the day after the presidential election in Garden City. Defense lawyers argued that the FBI set up the men, and claim all the talk about violence wasn't serious. "The FBI was out to get a headline, to make an example out of these men," Allen defense lawyer Melody Brannon said in court, according to the Guardian. "In America, we don’t imprison people for their thoughts and words. There were no bombs," said Kari Schmidt, who represents Wright, according to the Guardian. Prosecutors told jurors that the defendants manufactured homemade explosives and tested them. Stein, Wright and Allen will be sentenced in June.